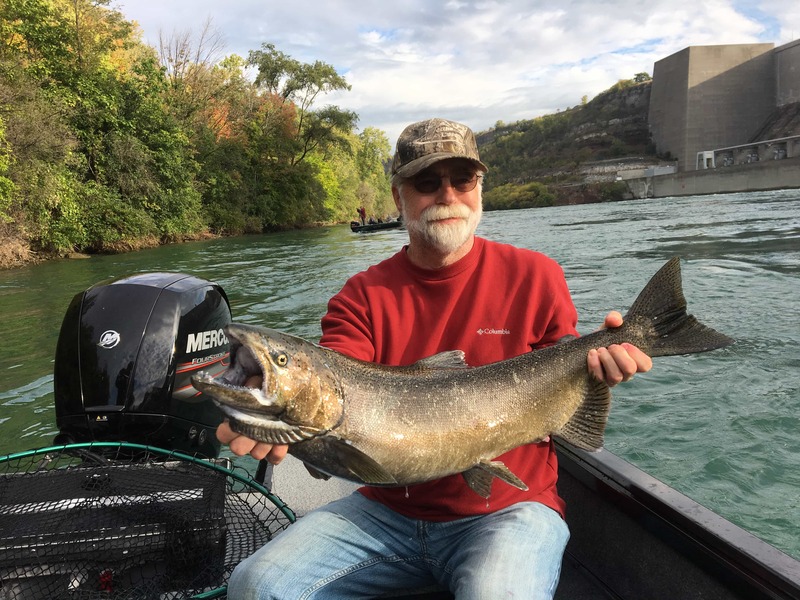 Fishing Buffalo Niagara Fishing this fall has been excellent. 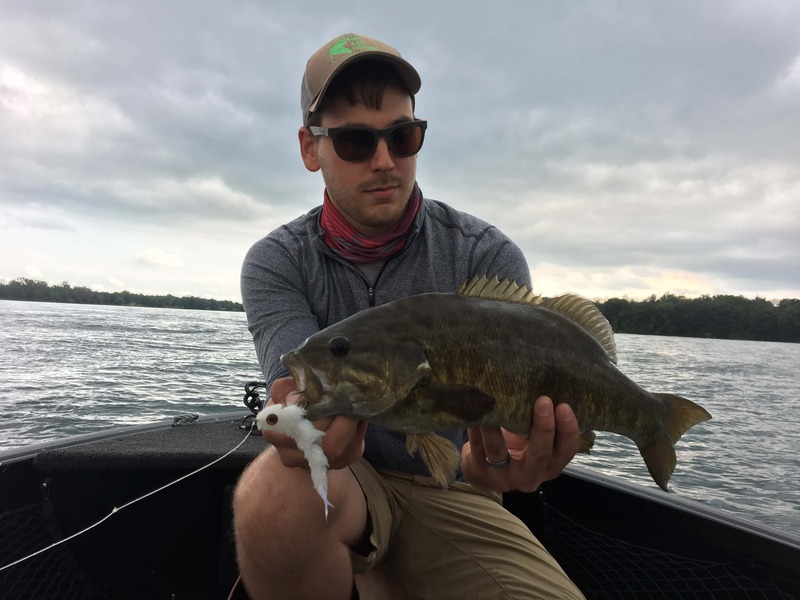 From salmon to smallmouth bass to steelhead to musky – choosing what to fish for is a tough call. We’ve been focused mainly on salmon and musky lately. 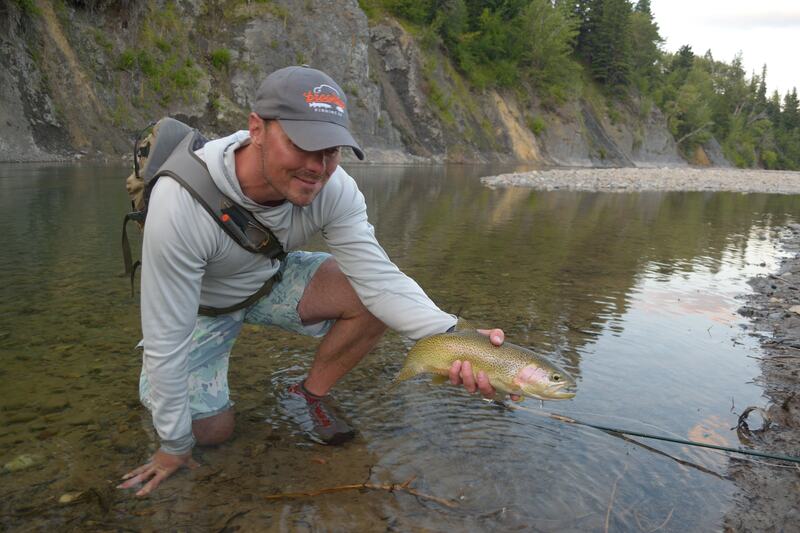 Although our love for smalljaws is powerful, it’s nice for us to give them a break for a bit. Both for our sake and for the benefit of the fish. 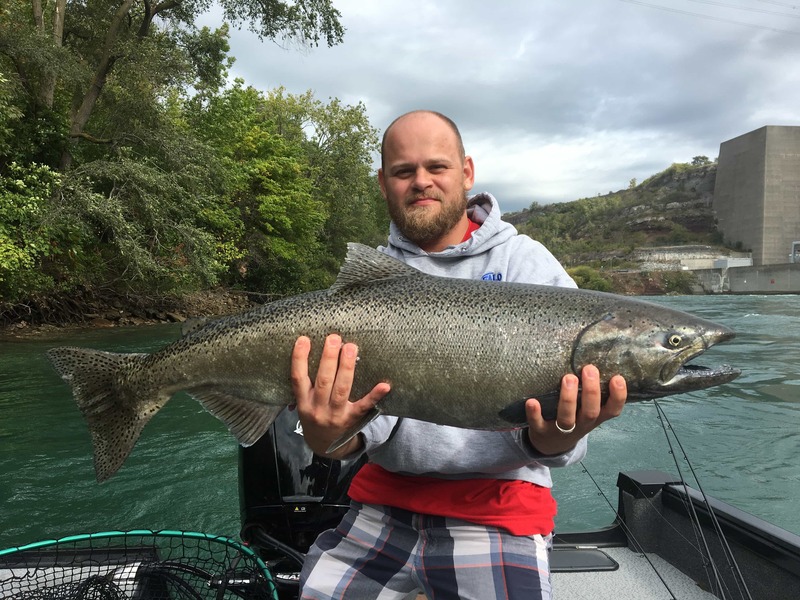 Steelhead are in the tribs but some of the daytime temperatures have kept water temperatures prohibitively warm. 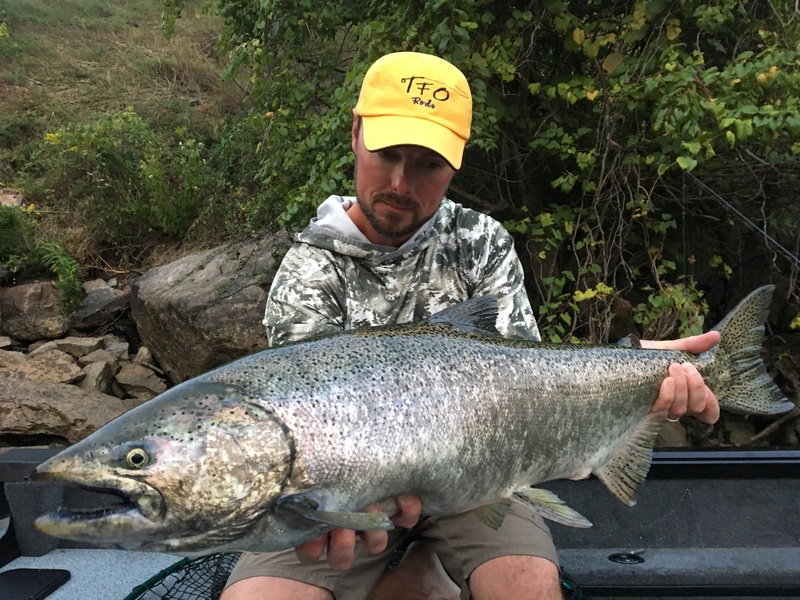 Recent cooling trends and rain will divert some of our focus to the fall steelhead run this weekend! 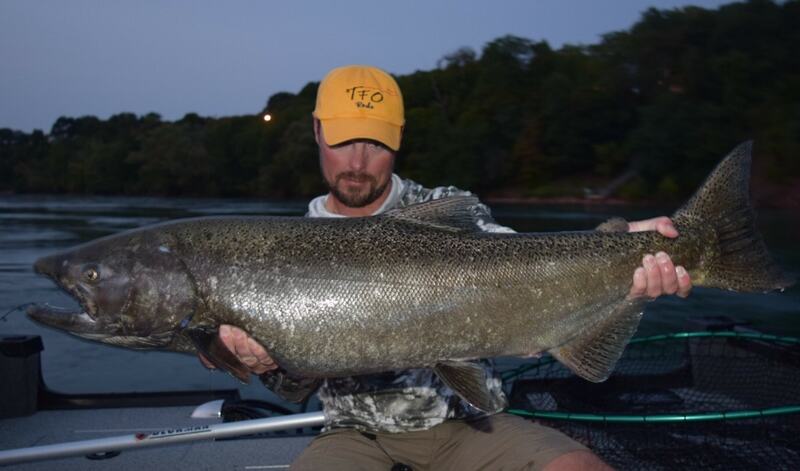 Salmon fishing in the Buffalo Niagara region is strong right now. There are certainly kings in the Lake Ontario tributaries but the Lower Niagara River in in the middle of prime time. Water temperatures are a bit warm for this time of year so the run is getting stretched out perfectly. Although some of the fish we are catching have been in the river for a while, bright fish pop up regularly. We’ve been starting every outing dragging 3-way rigs with skein. This usually produces fish somewhat quickly. However, patience wanes rapidly on the “skein train.” In order to keep things engaging, we’ve introduced “crankbaiting” for salmon to our last few clients. It’s been a blast! Catch rates may be a bit lower than on skein (experiment in progress) but when a king smashes a crankbait, it’s an unforgettable experience. Those hits come frequently and after experiencing one, we’ve noticed our clients reel enthusiastically in anticipation of the next one. That “next one” often comes soon thereafter. 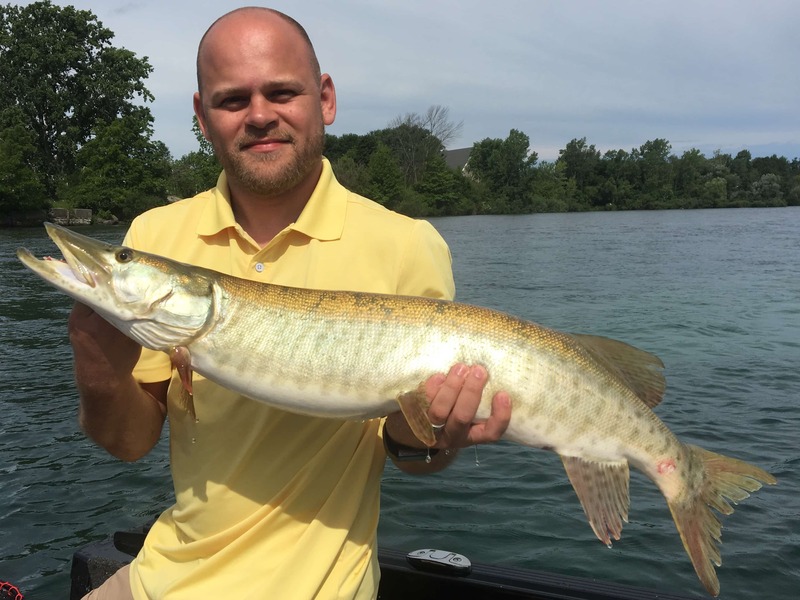 The musky action keeps getting better in the upper Niagara River. Cooling water temperatures and schooling shad are causing musky to move to their fall haunts and feed regularly. Nate said it best – I’ve reached a point of angling nirvana. Although our culture butchered the real definition of that word, I’ll try to repair that a bit by providing this definition. Nirvana: a transcendent state in which there is neither suffering, nor desire, nor sense of self. Not to get too deep here but if you fish often, or you’ve been at this angling-thing for a long time, this mindset happens naturally. I’ve written about this before in a previous essay but I am going to walk a different path on this little piece. 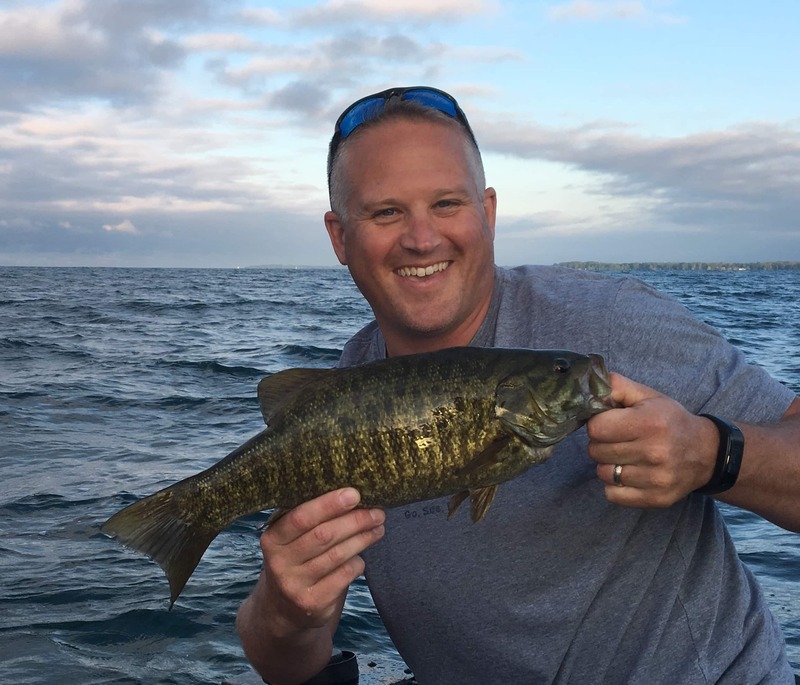 I want to discuss how I reached this mindset fishing our local waters in the Buffalo Niagara Region. In some fly fishing circles that comment would be blasphemous. The fact is, I really don’t care. Remember…nirvana. If anyone wants to question my abilities with a fly rod or wants to label me as a sellout – please do. I’d love to have the conversation. 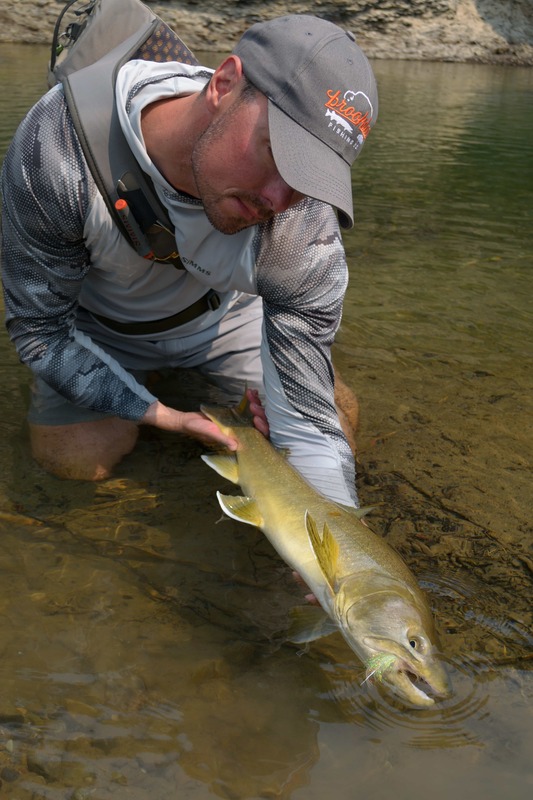 Notwithstanding judgement from some purists in the fly fishing world, being a jack-of-all-trades in the world of fishing and guiding just makes sense. The biggest reason for this is: not everyone fly fishes. Moreover, many anglers that claim they fly fish only wet a line a couple times a year. The reality is there are FAR MORE conventional anglers out there than fly anglers. 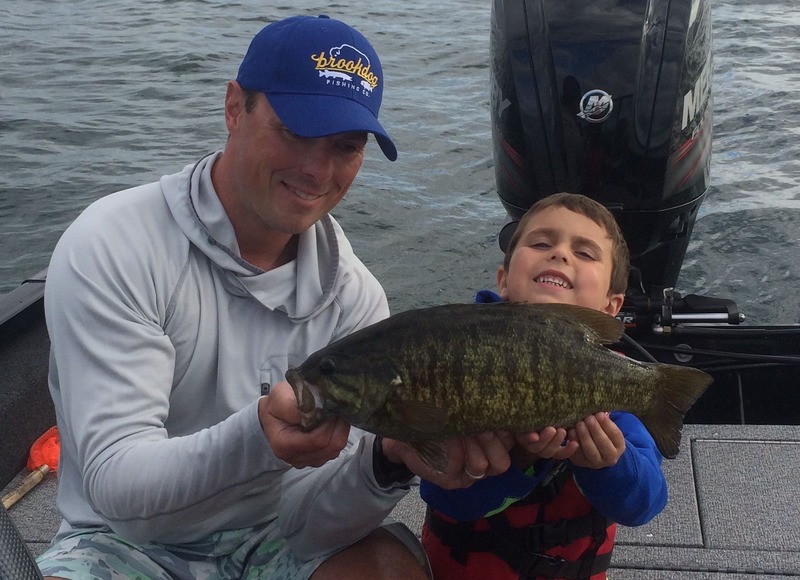 Many of these conventional anglers want to hire a guide. Why would I deny someone that opportunity because I don’t use a particular type of tackle? Their intentions are the same as someone wanting to hire me for a fly fishing trip. They just want to fish, experience the outdoors, and have a good time. So do I! Plus, I thoroughly enjoy meeting new people and teaching them about responsible angling practices and how to fish in general. It’s a win-win! 2. 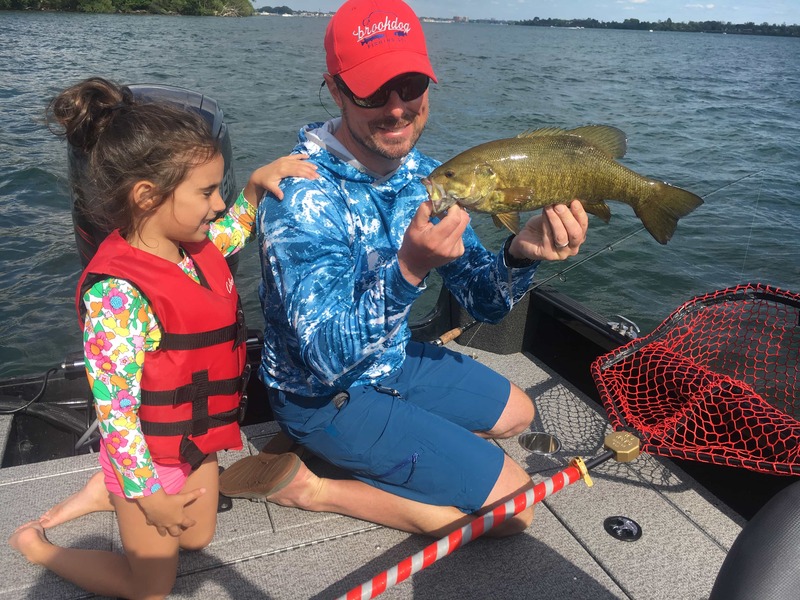 Ensure they learn something – a new technique, how to be a responsible angler, etc. Skilled, knowledgeable, and responsible use of every tackle type is the ticket to accomplishing goals 1 & 2. Goals 3 & 4 – that’s a separate topic entirely based on your personality. It’s somewhat sad that I need to address this but I feel compelled to do so. Call it a tinge of guilt I think I may be experiencing if this ends up disappointing someone that thought I was fly fishing purist. Beefs between the fly fishing, conventional tackle, tenkara, and centerpin community are well cataloged. Why these beefs exist are numerous but overall this proclivity toward trash talking is nothing but divisive and unproductive. There’s a lot we can learn from each other. Personally, I’ve never played into it. From age 5 until my mid twenties, I was purely conventional tackle. I was cocky about it too until my boss, who was a fly angler, smoked me in a weekend competition in South Florida. It wasn’t long after that when I purchased my first fly rod and I remained purely fly for nearly a decade. I went that route mainly to hone my skills. I stayed on that path for a long time because the waters flowing around the places I lived and traveled during that period were ideally suited for fly fishing. Since moving back to the Buffalo Niagara region (where I’m from and where my angling life started) I’ve re-introduced conventional tackle into my arsenal. I have no regrets. Here’s the one problem with that situation: that person had a picture in his/her mind that I just clouded with a complete unknown. 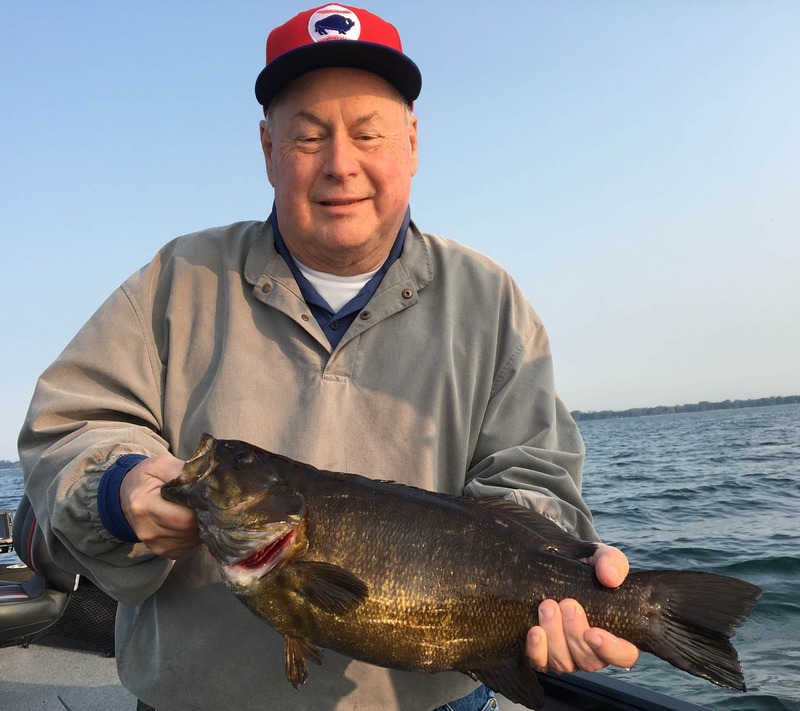 Another problem is that fishing Buffalo Niagara, especially on the big water like Lake Erie and the Niagara River is not easy for entry-level fly anglers. I can clarify that further but that’d be another essay altogether. 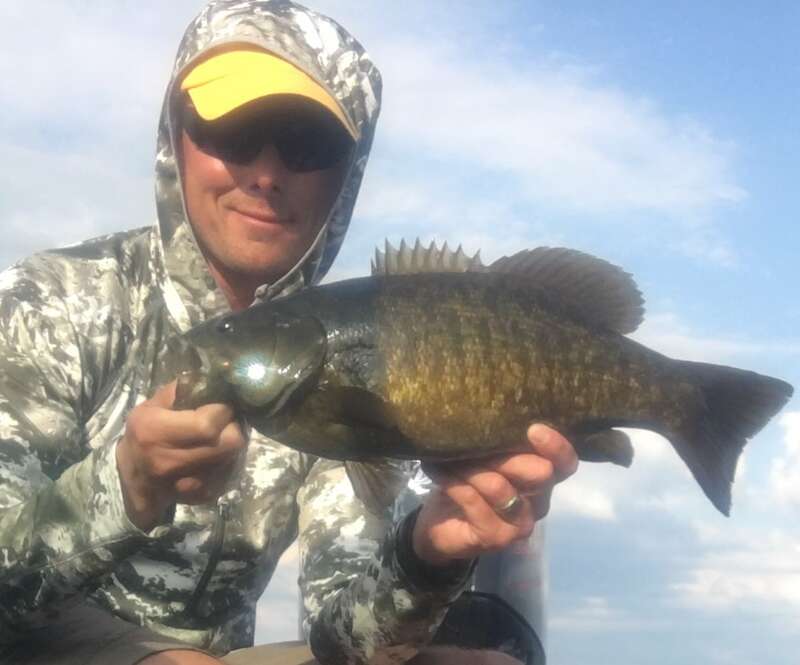 Yet another problem is that even if I could teach a brand new fly caster how to throw a type 7, 250 grain, sinking line over 60 ft in about an hour – the catch rate is dramatically lower when compared to conventional tackle in most instances. The point is why would I force a potential client (and myself for that matter) into a situation that dramatically reduces the probability of actually catching fish? Or, revisiting the original question – why would I deny a person the opportunity to catch fish and experience the bounty of the Buffalo Niagara region (and turn down business) by limiting myself to one type of tackle? I couldn’t come up with an answer as to why I would deny potential clients based on tackle type. In turn, I had to re-acquaint myself to the conventional tackle world. It was so much fun! 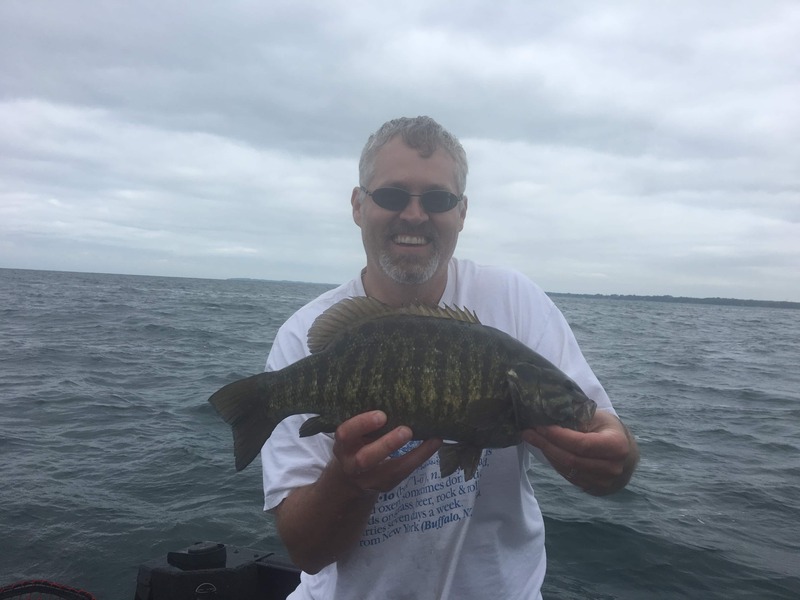 With the help of a couple local fishing buddies (Chuch Yauch and Kyle Gordon) and charter captains (Jim Hanley and Larry Jones) I spent day after day on the water pursuing fish the “conventional” way. Learning new tricks and patterns every time I went out, I caught a ton of fish and my clients benefitted from my efforts. As shown in our Re-Discover Your Region Series, I still throw flies regularly – all over the country in fact. My 50 states on-the-fly before I’m 50 goal remains and will never die. However, these days, I’m the kind of angler that prefers catching fish using the method most likely to lead to success (snagging not included). The security of high probability is comforting – it brings me to that nirvana mind set. Still, I use all tackle types to keep the sword sharp. Maybe an angler can reach nirvana by remaining pure to one way of fishing. All I know is that I couldn’t get there. I guess the purist won’t know either – unless he/she tries something different. Great article! Follows my philosophy exactly – except I started with a cane pole (NOT split bamboo!) went to spinning, then fly (my Dad’s split bamboo that now resides on my den wall) and then conventional. Fly is my favorite but I love it all! Next time you plug for salmon, you might consider Kwikfish or Flatfish wrapped with a fillet of sardine – was quite effective when I lived near Portland, OR. Looking forward to more “Re-Discover” videos and more great stories! Love the article. Stay focused and catch fish. A perfect reason to fish with Brookdog Fishing. I have fished with Brookdog and the attitude is catch fish. They are good at it.